The amazing Andrew Bird is playing tonight at the Academy. If you're not familiar with him, his website has a streaming radio station that only plays his songs. Just thought someone might want to know. I'm going and I'm dead excited. 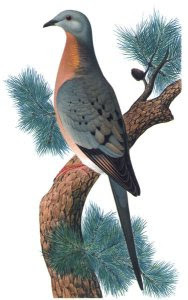 The picture is of a male passenger pigeon.